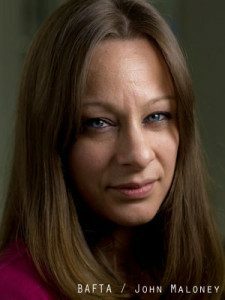 Emma Baehr is BAFTA’s newly appointed Director of Awards. Prior to this her roles included Head of Film (Acting) at BAFTA and various roles at the BBC and BBC Worldwide. In Emma’s new role at BAFTA she will oversee all five of BAFTA’s London-based ceremonies including November’s British Academy Children’s Awards and next February’s EE British Academy Film Awards. Emma, first of all congratulations on your new role. It sounds exciting. Please can you tell us more about what you’ll be working on? Thank you, I will be overseeing, developing and delivering our five London-based Awards ceremonies – Film, Television, Television Craft, Children’s and Games – and identifying new growth opportunities around them. 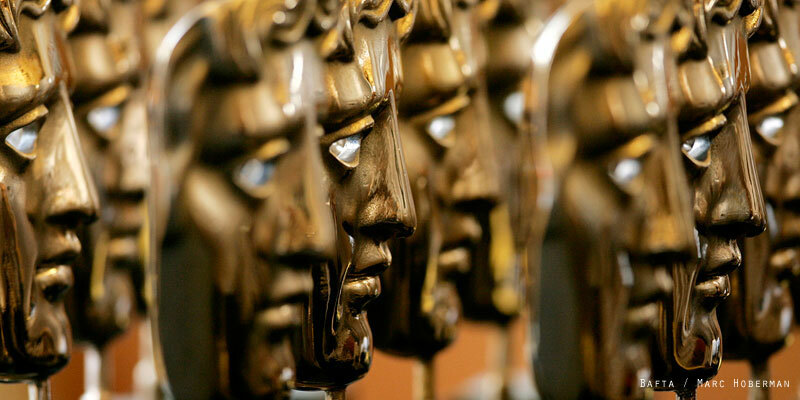 It’s important that BAFTA’s Awards stay relevant in these ever-changing industries and that we reach new audiences. Our Children’s Awards ceremony is only a few days away, on Sunday at The Roundhouse in Camden, and we’re already counting down the days to the EE British Academy Film Awards – #100BAFTAdays. Please can you tell us a bit about your career to date? As a student I was lucky enough to do some great work placements at various arts centres and theatres, which led to my first job as Programme Assistant at Battersea Arts Centre. Working in a fringe theatre, it was fascinating to watch talent at different stages of their careers experimenting and trying out new material. Being surrounded by such motivation gave me the confidence to move into television, which led to work at the BBC and then BBC Worldwide working as a producer in the Children’s and Licensing departments. I then became a commissioner in the Consumer Products division, and before joining BAFTA I was the UK Development and Publishing Manager, responsible for acquisition and investment decisions on properties including Doctor Who and Sherlock, and publishing them across a range of platforms. I’ve been at BAFTA for a year now, first as Acting Head of Film and now as Director of Awards. BAFTA has a female Chair, Anne Morrison and a female Chief Executive, Amanda Berry OBE. Is it important for BAFTA to have positive female role models? It’s well documented that woman are underrepresented in the film, television and games industries, so it’s really important that we have successful role models to aspire to. BAFTA wants talented people to succeed, regardless of their background or their gender. It’s vital that the opportunities are there, and the inspiration readily available, and this is where BAFTA can help. Giving access to positive role models, male and female, is part of what we do – as an example, we’ve just announced that Danish director Lone Scherfig will be the first woman to deliver the David Lean Lecture, our flagship annual film lecture, in December. We’ll publish the video to our BAFTA Guru website, like we do with most of our masterclasses and lectures, and I’m sure it’ll be fascinating to hear what she has to say. We’ve also identified and now supporting several women in the games industry as part of the BAFTA Scholarship Programme, and the BAFTA Breakthrough Brits initiative, in partnership with Burberry. How is the industry changing to become more diverse? There’s clearly some way to go, but like many of my colleagues here at BAFTA I recognise that it’s essential for a healthy industry that the pool of professionals is broad and diverse. We do everything we can to encourage that, with our year-round programme of learning events that feature practitioners of all backgrounds, and well as giving a platform for people to debate the issue, just like our recent BAFTA Television Lecture from Lenny Henry. For many of our initiatives that support and develop new talent, such as the BAFTA Rocliffe New Writing Forum and the BAFTA Young Game Designers competition, we ‘judge blind’ – that is, we select people based purely on their work, with no background information and without the person’s name, and we’ve had good success with the resultant levels of diversity. What is your advice for women who are looking to break into the film, television or games industries? The best advice I can give is to identify someone that could mentor you, and don’t be afraid to approach them. If they’re unable to help, ask them to recommend someone who can. In my career it’s been so valuable to be able to talk through ideas and gain an insight into the different areas of the industry. You’ll have to spend some time doing your research and finding out what opportunities there are, and then go for them. If you can volunteer in an area you’re interested in, in your spare time, it’ll give you not only the beneficial experience and an understanding of the day-to-day workings of your chosen industry, but it’ll give you a network of people to guide and help you throughout your career. That is why I find it hugely fulfilling to be working for an organisation that celebrates talent and gives opportunities to those starting in their careers, while using its amazing network of industry experts and contacts to identify new and emerging talent and supporting them with scholarships, mentoring and industry recognition. For advice, insight and inspiration from the best creative minds in film television and games, visit www.bafta.org/guru.